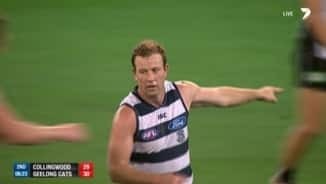 FULL TIMEThe Cats prove that they are still class side, fending off a fast finishing Collingwood outfit to win by 11 points. 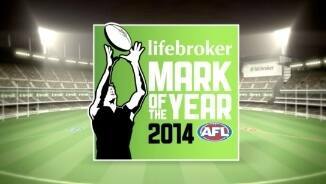 The Pies will be looking at what could have been tonight as they leave this one slip out of their hands. GOAL CATSHawkins comes out and takes a strong mark 40m from goal. He kicks truly for goal as the Cats seal it with 46 seconds left on the clock. If the Pies can get in front, they will win this game, all they need is that one more goal. GOAL MAGPIESElliott takes a tumbling mark as he takes his shot from 45m out directly in front. That is goal number five for Elliott, as the Pies are within five points. We have four minutes of time left on the clock, as this one is set up for a grand stand finish. GOAL MAGPIESElliott takes the mark 35m from goal directly in front. He kicks his fourth goal of the game to give the Pies a chance at this one. 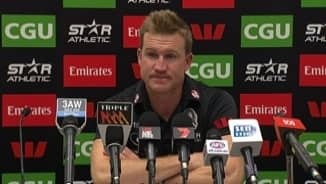 Collingwood don't look like they have much left in the tank at the moment. BEHIND CATSVarcoe marks inside 50, he has a shot on goal and hooks it away to the right for a point. Magpies InterchangeJarryd Blair off due to the blood rule. 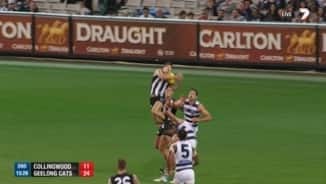 Varcoe is off the ground with the blood rule after a head collision. It won't be long before he comes back onto the ground. 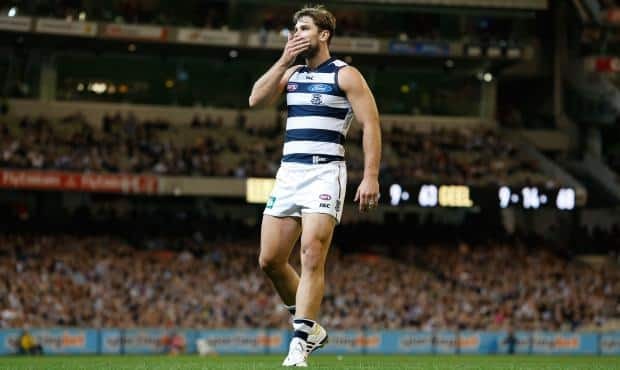 Cats InterchangeTravis Varcoe off due to the blood rule. It is panic stations now for the Pies, as they see the game slipping away from them. GOAL CATSHawkins gathers the ball inside 50, he kicks it around the body for his third goal of the night. The Cats lead by 16 points. BEHIND MAGPIESFasolo with a running shot on goal but it is away to the right for a point. GOAL CATSHawkins marks the ball 30m from goal on a 45 degree angle, he comes in and he drills it the Cats have some breathing space. 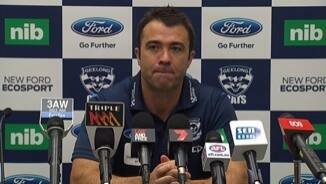 The pressure is squarely on the Cats now as they cannot afford to concede another goal. GOAL MAGPIESGreat work by White as he short passes to Elliott who takes the front in the marking contest, as he pulls down the mark. He kicks from 35m and he kicks a goal. The players from both teams realise what is on the line here and they will not give an inch. We are over five minutes into the final term and we are yet to see a goal, this is becoming a real slogfest. BEHIND CATSBlicavs sizes up the goals ans he has a shot but it is across the face of goal for a point. The Pies will want to kick the first goal of the term, just to give them a real red hot go here. BEHIND CATSThe Cats take it into the forward line but it goes off hands and through for a rushed behind it goes. 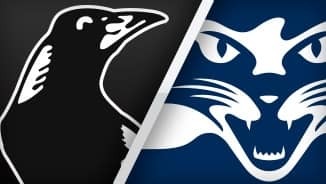 Magpies InterchangeSam Dwyer off due to an injury. Magpies InterchangeNick Maxwell off due to an injury. Welcome to MCG for the Collingwood v Geelong Cats Round 3 clash.